With the advances in online technology, it has been observed that mobile apps as well as gaming industries continue on an upward trend of strong growth. Consumers are steadily demanding more advancement in technology, with the result that many apps and games are being continually updated to offer more entertainment. Mobile applications and the gaming industry have begun to offer novel ways of engagement and additional revenue prospects. The mobile apps and gaming industry is growing on a daily basis and it is expected to continue. The revenue generated by the world mobile app industry is increasing and skyrocketing. Among the companies reporting growth in the mobile apps and gaming industry sector are TapinatorInc, Snap Inc, Square Inc, Glu Mobile Inc and IGG Inc.
2016 was a monumental year for the gaming industry. 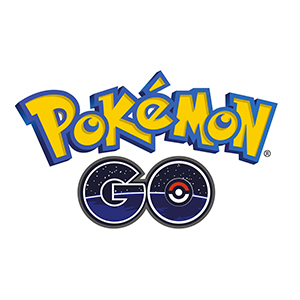 For instance, Pokemon GO, which was released in the US and also later in other countries like Australia, New Zealand and India, has become a great sensation and has created history in the gaming industry. The game was so popular that users from all over the world had begun to download the unofficial version. Not just this one game, but the total download for games has sharply increased all over the world. A report from market researcher, App Annie, states that mobile game apps have contributed to around 85% of the revenue from mobile apps in 2015, which is around $34.8 billion all over the world. This proves the growth of mobile applications. The mobile application economy has been projected to grown to about $101 billion by the year 2020, from around $51. 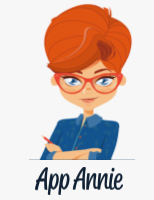 The report from App Annie also projects that mobile game apps will reach around $74.6 billion by 2020. Gaming has become a huge hit for generating revenue. The growth in gaming apps will be a result of stronger monetization of the mature markets, specifically in the tier one and the tier two cities of China along with growth in Japan and in South Korea. Social casinos are among the most lucrative type in the mobile gaming sector. It has become a multi billion industry and is expected to generate around $4$ billion by 2017, according to Eilers Research. This is partly due to the wide variety with online casino games , such as online blackjack, and online slots games like flintstones slot game. Such a growth in mobile games is also due to the fact that the mobile platform offers more reach and affordability. Consumers of the mobile games and mobile apps are evolving more rapidly when compared to the businesses. These games and apps have become a necessity for almost everyone. Android and iOS are two of the most powerful mobile application giants and they dominate the market. They have very popular app stores and according to Statista, an iOS app generates around $8100 per month, whereas an Android app generates around $4900 as average monthly revenue. The mobile CPUs have improved and they now feature more powerful graphics and displays. With faster Internet connections, smartphones have transformed into powerful gaming devices. According to App Annie, mobile games previously accounted for around 50% of app revenue in 2011, but generated 85% of the revenue in 2015, showing a steady upward swing. Play and Earn Indian Rupee.